What is Laos Buffalo Dairy? A social enterprise started by two families who decided to have a mid-life crisis with a “Purpose rather than a Porsche”! 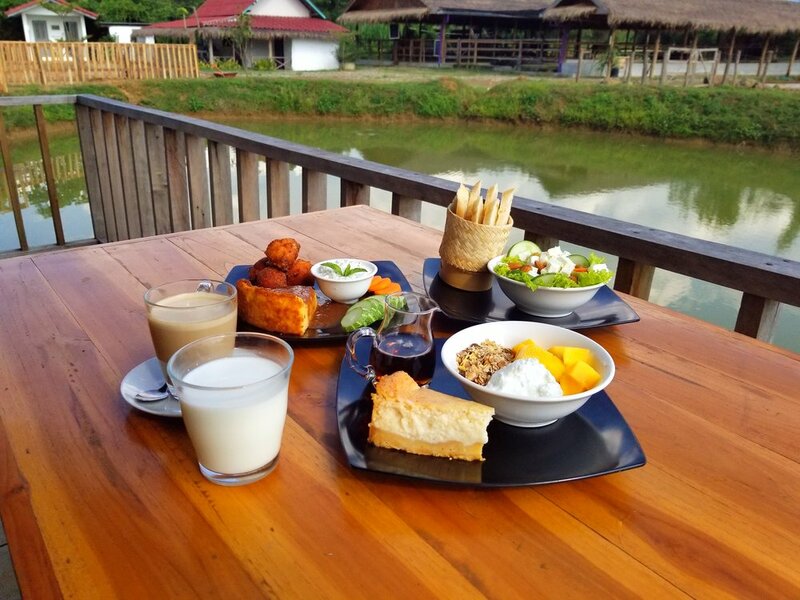 The first and only buffalo dairy in Laos, producing a wide array of artisanal cheeses & products; including mozzarella, blue cheese, feta and ice-cream to name but a few. Offering visitors to Luang Prabang a unique opportunity to try these delicious cheeses and “get up close and personal” with beautiful buffalo and other farm animals. Visitors to the Dairy are helping support the rental of buffalo providing local farmers an additional income stream, improved feeding, veterinary care and breeding program to revitalize the local buffalo genetics. Visitors also help fund workshops for local farmers on animal care, organic methods for feed production and how to milk a buffalo, so they can improve the nutrition of children in rural villages. Cuddle up to our beautiful buffalos at 450 kilos or feed Ferdinand, the friendly buffalo at just 750 Kilos! They love to eat, not only grass but bananas as well! After eating, our buffalo’s next favourite activity is having a bath. You’ll get to wash them and give them a scrub. It’s like a “day spa” for buffalo! Hands on milking demonstration! Learn how to milk a buffalo and why buffalo milk is so good for you. The Buffalo may be the stars of the show but our playful pigs, cheeky chickens and rollicking rabbits are also plenty of fun for the young and young at heart! Nobody can resist a giggle when bottle feeding our very cute calves! Selfie Time! In your boots and overalls we provide before entering the production side of the farm. Don’t forget to bring socks. The small group allows for an in-depth look at the history and running of the farm and production facility with one of the co-founders of the farm. 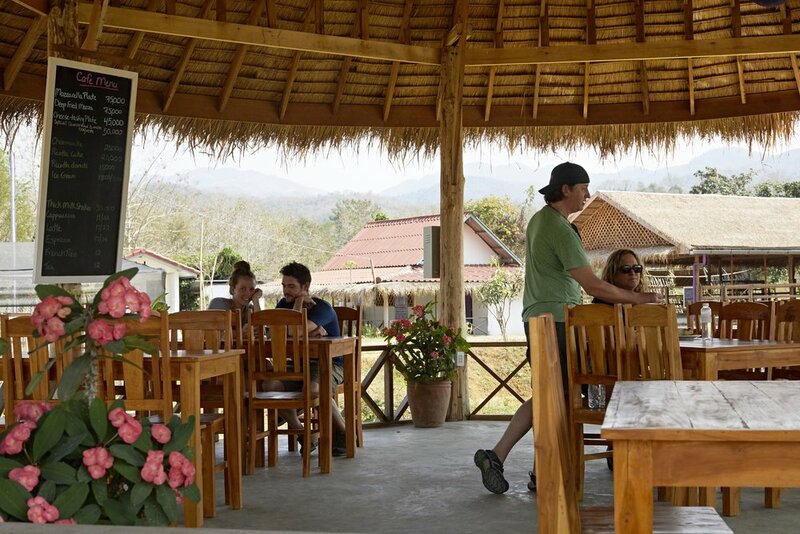 Optional (evening tour only) – Join in nightly ritual of “bringing home the buffalo” at the nearby local village and watch the sunset over the mountains or Mekong River depending on where your buffalo were wandering that day! Take away some home-cooked buffalo cookies and mozzarella. Although your tummies may be a bit full after your meal! Full café menu with our range of cheeses made on site daily.